How would you like your judges? Super-strict or super-caring? Intelligence, wit, ludicrousness, bile, OTT ZOMG craziness (that works as a tool to point out how annoying this trope can be in the world of comics, but can also in itself be a little trying). Also a fair amount of horror and bleakness, certainly more so than happy endings. And, it must be said, some extreme cleverness. One-liners. 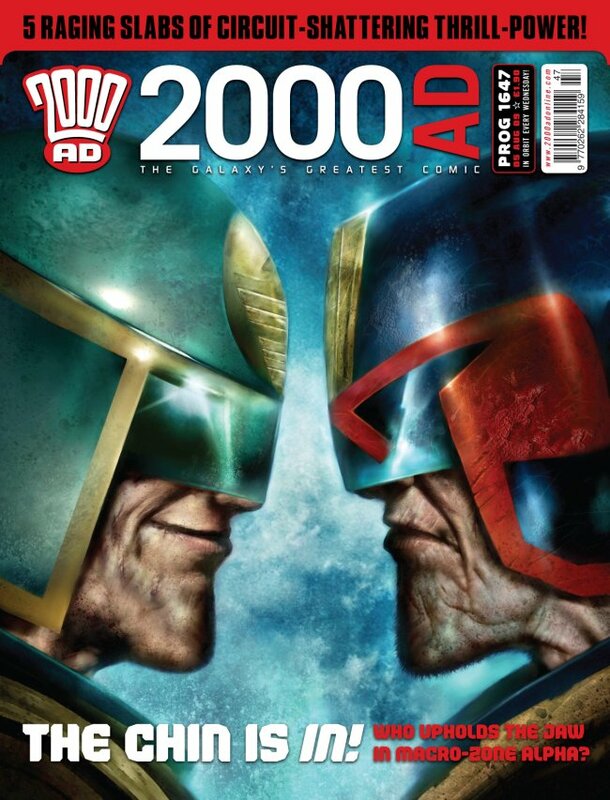 Alan* Ewing is one of the more recent examples of a stunning 2000AD success story. Some Terror Tales and Future Shocks here and there, a couple of shorter series, a bit of Dredd, then on to full-fledged returning series, and then the co-creation of what has become one of the comic’s best-loved new characters. Although he seems to be one of a thankfully large number of successful creators who likes to write for 2000AD whenever he can fit the time in, so I'm pretty hopeful he'll grace the Prog and Meg in years to come. Hooray! Albert Ewing was I think already known to a number of readers (not to mention editors) through 2000AD fanzine strips that were a hit on the UK convention circuit in the early 2000s – from the little I’ve read, these were chiefly funny. In direct contrast to his early published work, which was, as befits Tharg’s Terror Tales, frightening. Or, in the case of this Future Shock, frightening, funny and deeply weird all at the same time. This speaks to something that has struck me as a mark of Alexei Ewing’s work generally – it always manages to be recognisably Ewing, but still manages to defy reader expectations. By this point, Alfonse Ewing earned the right to become yet more playful, sort-of inventing two new series, Future Shorts – basically one-page Future Shocks, (and as such not a new thing for 2000AD, but the first to earn a new logo) and Tharg’s 3illers. You think telling a story in 5 pages is hard, try doing it in 5 panels! Go Machine is ostensibly a story about cyborg arena death matches. If it’d been part of the 1993 Summer Offensive, you’d expect episode after episode of ugly cyborgs smacking each other to bloody, oozy, oily pieces. Instead, we got a bit of that, then a bit of family drama and a whole heap of philosophizing on both the human condition and media exploitation. And then it was all over in 3 episodes. Extraordinary. Dead Signal wasn’t at all like Go Machine, but it showed Alberich Ewing’s willingness to really go for it in terms of gung-ho action, rug-pulling plot reveals, gruff narration and above all (to me it’s the main thing, anyway), philosophizing. The hero of Dead Signal thinks he knows who he is, but also knows he doesn’t really know who he is. He also thinks he knows what kind of person he wants to be – or at least, what his fans want him to be - but maybe they’re all wrong? I can’t help but read some Ewingian self-analysis into all this. Who needs action heroes when you can have action metaphors? Over in the Judge Dredd Megazine, Alfred Ewing was pushing the OTT button. Hard. A selection of Tales from the Black Museum went as far into weird/silly/horrifying as that generally hyper-imaginative series has done. And then there was Tempest. 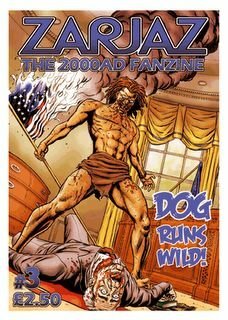 At the time – 2008 or so – it seemed to me that the comics-reading internet was awash with fans and critics embracing strips that made a point of mashing up ludicrous genres, be it ‘underwater samurai zombie hunters’, or ‘Aztecs fighting marines while singing 1920s showtunes’ and that sort of thing. Tempest: lives in the Undercity, has a soul patch, likes to get things a bit gory. Tempest reminds me of that, but in a knowing way. It remains for me the most Al-Ewing-y of his work, which is in itself something of a disappointment, as I’m fond of his ability not to be what you expect him to be. But at least the actual plot of Tempest is every bit as unpredictably twisty and turny as you could ask for, with a side order of me not entirely being able to make sense of it all at the end. Meanwhile, Aldridge Ewing joined the increasingly rotating team of Judge Dredd writers. He’s proved to be one of the best. Dredd stories have a lot of room to embrace different genres, but they do also fit a template, which involves violence, humour, satire and future weirdness. It’s no surprise the Algernon Ewing is good at this. Ewing is the master of packing story beats into an incredibly tiny number of panels. Action to tragedy to sleaze all in a small package, perfect for Dredd. His very first Dredd was a delightful tale about a new costume, as designed by Brendan McCarthy. Given free reign to come up with a story that made sense of this, Ewing brought the costume itself to life. Lunacy ensued. Ewing brings his lyrically ludicrous narration skills to the world of Dredd, and makes it fit like a glove. But what really propelled him into the stratosphere of Dredd greats, for me, was Rehab – the tale of a college professor who embraces anger so fiercely he turns himself into Rage Hard – memorable Dredd villain number 1; who then, along with Dredd, encounters Judge Joe, the moral opposite partly of Judge Dredd, but in turn also of Judge Death. Memorable anti-villain number 2. Bring back Rage Hard! We demand to revisit the Angerocracy. I don’t think he’s ever submitted a straightforward, let alone boring Dredd tale, a powerfully high hit rate even with the high standards of recent years. A pair of modern/classic Dredd pastiches under the title Choose Your Own Xmas saw yet more cleverness, mixing nostalgia with invention and originality. An Alvin Ewing Dredd hasn’t graced the Prog since the triumph of the Cold Deck/Trifecta – and the killing off of Black Ops chief Judge Bachmann, another classic Dredd foil. However, the Megazine has only recently seen The Cop, one of the absolute best noir/gangster type Dredd stories. Yet another example of Ewing going where you don’t think he’s going to go. Although I must confess I’m left a little colder by his recent non-Dredd work. No one can write-off Zombo, the most 2000 AD slice of lunacy in forever. The first series was conceived by artist Henry Flint, who presumably was mostly into the people-eating fun. And what isn't fun about people getting ate? Aldebaran Ewing, drafted in the plot and script the story, was seemingly more interested in the satire on shady government conspiracy angle. And above all the chance to spout Monty-Python levels of surreal one liners. Zombo is in control of two pet death vortes thingies. It makes just as much sense as it needs to. Subsequent Zombo outings have been even more anarchic, but equally barbed in their attacks on popular culture, be it TV talent shows, political PR, You Tube hacks, or, for some delightful reason known only to Algonquin Winnebago Ewing, Jack Kirby era Fantastic Four. Zombo is certainly thrilling, massively memorable, often hilarious - but it’s also, for my taste, too insane for its own good sometimes. In direct contrast to Damnation Station, Al-Jazeera Ewing’s spacewar saga. It looked from early episodes as if it was going to be a bit about poking fun at characters in a wartime setting, but soon proved to be very much an exploration of what it might actually be like to go to war with aliens. Not bug-eyed war-crazed space invaders, but beings whose very concepts of existence were utterly different to our own. There’s room for stories about what actual combat might be like, what combat fatigue / PTSD might be like in this context, and above all there’s some deeply clever long-form plotting in terms of how humans might ever be able to win. This isn’t your 1970s spacewar comic, nossir. I’d really like to read this all in a proper collected edition, please, Tharg. It was at times too disjointed in the Prog, but I’m pretty sure there’s greatness in the whole. Which brings us to the second artist collaboration, Brendan McCarthy’s Zaucer of Zilk. No doubt impressed with his work on Zombo, McCarthy picked Allthatjazz Ewing to bring script coherence to his tale of a layabout fame-hungry wizard-hero. Much like a lot of McCarthy’s work, it’s more of a mood and feeling story than it is a narrative, but Ewing does force a complex narrative into it all. I’ll be honest, I haven’t read it since it was in the Prog, where I bathed in the visuals and the purple prose, but didn’t entirely engage with the thing itself. It’s every bit as pretentious as the likes of Sooner or Later, and smacks of the sort of comic that is not quite as clever as it thinks it is, but is also definitely cleverer than I think I am. It’s both very Ewing, and also very un-Ewing in that it’s Ewing try to both be himself and not at the same time, and trying to channel McCarthy, too. 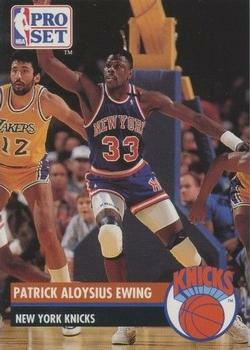 And that’s as good an absurd summary to end on as any for this foray into the mighty world of Al ‘Call me Al’ Ewing. Ewing’s old blog (at least, I think it’s his?) hosts the entirety of the Disco Rogue comic, if you’re curious. An interview on the Forbidden Planet blog from Ewing's relatively early days. 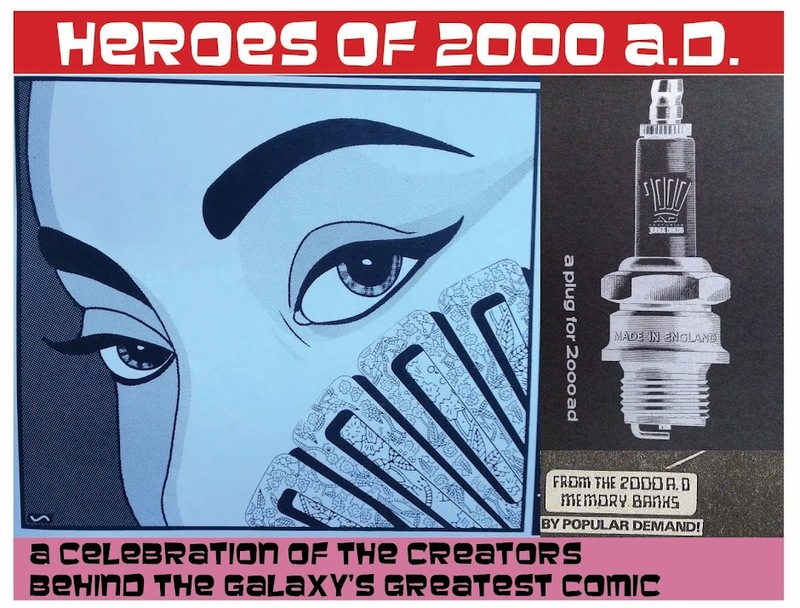 If you want to read lots and lots of words - insightful ones - head over to Colin Smiths' 'Too busy Thinking about my comics' blog for a 2-part interview, and follow the 'Al Ewing' tags down a rabbit hole of wisdom from Marvel to 2000AD and beyond. Zombo: The Day the Zombo Died tickled me more than the others, for some reason. *I’ve no idea what ‘Al’ is short for, if indeed it is short for anything. Frankly I prefer not to know. But as an Alex who has always hated being called Al, I’m going to take this joke and run with it. **Being honest, I probably like his run on Loki, and his current New Avengers, even more than any of his best 2000AD work. I hear his Jennifer Blood is fabulous, too. ***The story did continue for a bit in Zarjaz, I think? Did it ever reach a conclusion?